The release of new iPhone 6/6 Plus with bigger, crisp display drives competitions between Apple and Android smartphones to be tougher and tougher. 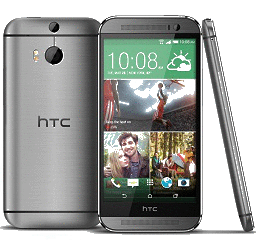 HTC One (M8), this significant Android flagship, is definitely a formidable rival of iPhone 6 due to its gorgeous all-metal design with brushed-metal finish and top-of-line performance. Now, let's kick off in-depth Apple iPhone 6 vs HTC One (M8) comparison to learn which one is the better choice for you. How to Play DVDs on iPhone 6 or HTC One (M8)? WinX DVD Ripper Platinum - Fast rip purchased or rented DVDs to iPhone 6 (Plus), HTC One (M8) and other deivces with high quality. Play DVD movies/videos anytime and anywhere! Both iPhone 6 and HTC One (M8) have brushed aluminium body and sophisticated design. But someone may prefer the slimmer, lighter iPhone 6 which is much more comfortable to carry in pocket than HTC One (M8). New iPhone 6 features a 4.7-inch screen with Retina HD display and a resolution of 750x1334 pixels (326 ppi density), while HTC One (M8) goes ahead of iPhone 6, offering a larger 5-inch display with higher resolution of 1080 x 1920 pixels (441 ppi density). The advantage of HTC One (M8) in display makes it more suitable for watching movies, reading e-books and playing games. For delivering buttery-smooth user experience, iPhone 6 boasts faster A8 chip, a 1.4 GHz 64-bit dual-core processor paired with 1GB of RAM. In comparison, HTC One (M8) is powered by a 2.3 GHz quad-core Snapdragon 801 processor along with 2GB of RAM. In fact, both phones run fast and handle software well without lags and slowdown regardless of difference on paper. iPhone 6 comes with different models according to built-in storage, basically 16 GB, 64 GB and 128 GB. HTC One (M8) has two models with 16 GB/32GB storage, but offering a microSD card slot to upgrade storage. It is undisputed Apple is far ahead of Android devices in MP race. iPhone 6 is equipped with an 8 MP rear shooter, a 1.5-micron pixels sensor, an auto focus system (Focus Pixels) and a software image stabilization, surpassing HTC One (M8)'s 4 MP UltraPixel camera. And, the front-facing camera of iPhone 6 has improved with an f/2.2 aperture, new sensor and burst mode. Anyone can enjoy great music with iPhone 6's all-featured music player with album art, lock screen controls and iTunes Radio for music streaming. However, music management should be done with iTunes. The music player of HTC One (M8) also can stream music from media server and automatically download album art. As for speakers, iPhone 6 has a single loudspeaker at the bottom, while HTC One (M8) features front-facing stereo speakers which are more appropriate for audio/video needs. From the above comparison between iPhone 6 and HTC One (M8), it is hard to judge which one is better. 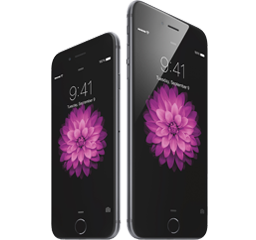 The high-end design and build quality with precisely suitable size makes iPhone 6 pretty attractive to fans. Also, the autofocus 8-MP camera can do a far better job to shoot a picture. But HTC One (M8) features larger screen, higher resolution display and the same great performance with cheaper price. Which is the better choice? It depends on your needs! Frankly, iPhone 6 and HTC One (M8) are the right devices to play HD videos and movies. However, with limitations of supported video formats by iPhone 6 and HTC One (M8), we cannot enjoy awesome DVD movies, for example, Captain America 2, Godzilla, Transformers 4, How to Train Your Dragon 2, on those mobiles. 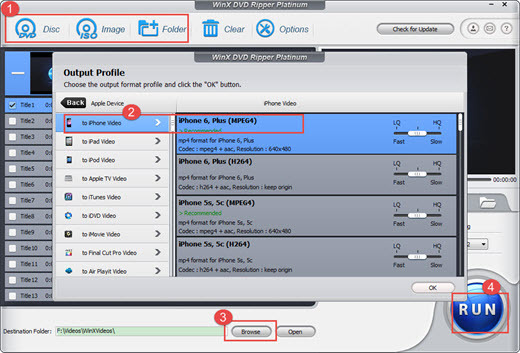 So, this helpful DVD ripping program, WinX DVD Ripper Platinum, is recommended to help you play any DVD movies on iPhone 6 smoothly. WinX DVD Ripper Platinum is a top-notch DVD ripper, capable of ripping any DVDs, even copy-protected DVDs, to popular video formats, MP4, AVI, WMV, MOV etc, and iPhone/iPad/Android devices in a simple and fast way. Moreover, it enables to extract audios from DVDs and copy DVDs to ISO image/VIDEO_TS folder/MPEG2 file with lossless quality. Note: Read DVD copyright laws in your country carefully before you decide to rip a DVD. WinX DVD Ripper Platinum - Rip any DVDs (incl. copy-protected DVDs) to MP4, AVI, WMV, MOV, YouTube FLV and iPhone 6/6 Plus, HTC One (M8), Samsung Galaxy Note 4/Note Edge, Kindle Fire effortlessly at a very high speed. Apple iPhone 7 vs Microsoft Surface Phone | Who's Even Better?